When you choose a law office to handle your Florida personal injury claim, you want to know that you are working with the best of the best. That they are considered truly elite in comparison with other South Florida injury firms. How can you tell whether or not you can apply this label to your attorney? By taking a close look at their track record. At The Law Firm of Andrew Winston, we can point to a history of success. To countless testimonials from clients detailing their positive experiences and a 10/10 Avvo rating. To awards and honors from across the legal community that demonstrate not only how successful we have been and the great amount of respect that others have for our attorneys, but also our consistency and staying power since we have received many of these honors year after year. Such as being named a Florida “SuperLawyer” and voted to Florida Trend’s “Legal Elite” every year since 2011. Obviously there are no guarantees in personal injury law, when you decide to work with the top legal professionals at The Law Firm of Andrew Winston, you give yourself a far better chance at receiving the fair and just compensation that you and your family need and deserve. HURT BY NEGLIGENCE IN DAVIE, PLANTATION OR COOPER CITY? of another person or organization. If we lived in a perfect world, those responsible would immediately offer to take care of the wronged individual’s recovery and compensate them for what they were forced to endure. Unfortunately, far too many in our world are more interested in protecting themselves and avoiding responsibility than coming clean and doing what is right. That is where the experienced personal injury attorneys at The Law Office of Andrew Winston come into the picture. We know that looking for a lawyer is the last thing that you want to think about after you or a loved one has been seriously hurt in an accident or wronged by a professional that you trusted. This is especially true if your child was hurt, if the injury occurred on someone else’s property, or if the one who wronged you was your attorney. These types of incidents tend to hit close to home and make victims want to crawl into their figurative shells and focus on recovery so that they can get back to their regular life as soon as possible. In the case of legal malpractice, even the idea of trusting another lawyer may seem impossible. But if you truly want to get back to that life, seeking out the help of a respected Cooper City injury attorney who cares about your well-being is vital. Whether the injury in question was physical, emotional, financial, or a combination of the three, associated costs often add up quickly. For many, damages due to negligence impact their financial and personal fortunes for the rest of their life. It should not be your responsibility to pay for something that was not your fault. As soon as you contact the Law Office of Andrew Winston, we will get to work building a case to help you get the compensation you deserve from those who put you in this position as well as send a message that this kind of behavior is not acceptable to lessen the chances of someone else having to go through a similar ordeal. No one should suffer or be discriminated against because they suffer from a disability. Contact us and we will fight to get you the compensation that you deserve. Cyclists come to South Florida in droves because of the fantastic climate, but that doesn’t mean problems do not exist here. When cyclists collide with motor vehicles, the bikes – and their riders – always lose. Because cyclists do not have the same kind of protection as people riding in cars, the types of injuries associated with these accidents are often serious, and can even be fatal. Whether the accident occurred due to the negligence of the driver or the transportation company, these kinds of cases are more complicated than regular auto accidents, and specific statutes govern them. We can help. Unintentional child injuries rack up tens of billions of dollars in medical costs. Depending on the nature of the injury, it may be something that you – and your child – are dealing with for months, years, or even the rest of their life. Bites may seem like minor injuries, but that is not always the case. They can lead to infections and other illnesses, and when larger dogs (or small children) are involved, the physical damage can be severe. Pet owners need to be able to control their dogs, and should warn people if they know that their animal is a potential dangers. Whether it’s tailgating the big game, heading home after a night of clubbing with friends, or leaving an office holiday party, far too many Floridians still make the foolish and dangerous decision to drive after drinking. If you are injured by one of these individuals, fight for the compensation you deserve. People come from all over the world to stay in Miami, Orlando, and other parts of Florida. Because of this, many of our hotels here are big operations with lots of moving parts, and it’s not uncommon for the ball to get dropped from time to time. Maybe your hotel forgot to fix a light in the stairwell and you fell. Or you got mugged on the way to your room due to a lapse in security. If a hotel is negligent and you are harmed, you deserve compensation. Lawyers have a duty of care to make sure that they provide their clients with the best possible legal advice and care. If you work with an attorney who fails in this duty for one reason or another and you suffer losses, contact us so that we can help you to hold them responsible. Much like lawyers, doctors also have a duty of care. But the difference between legal and medical malpractice is that when a doctor is neglectful in their care, people can come to serious physical harm or even die. You should not have to pay for preventable medical errors. South Florida pedestrians are hit by motor vehicles at a frighteningly high rate, and it often seems like the state was designed for cars first and people second. Unfortunately, when pedestrians are hit, it often causes catastrophic injuries, so it is vital that you seek compensation. Local businesses, public areas, and even private residences have a duty to make sure that their property is safe and secure for anyone who visits. If you fall and injure yourself due to an issue caused by a property owner’s negligence, they should compensate you for the incidents. Even in an idyllic destination like Florida, accidents, crime, and disasters do happen. When fire, water, wind, mold, vandalism, or accidents cause damage to your home, business, or car, you may be able to file an insurance claim to help you replace, rebuild, or repair your property. A property damage lawyer can help you in this process, ensuring the insurance companies do not deny you the full amount to which you are entitled. Lots of people use cabs to get around South Florida, and drivers sometimes cut corners to get you where you are going faster in order to move on to their next fare. If you are hurt in a taxi cab accident because a driver acted negligently, the cab company may have to pay you compensation. Big trucks cause big damage when they hit other vehicles or people. Often these crashes occur because the driver was rushing to make a delivery or was tired from working too many hours. If you are hit by a truck, get a lawyer immediately because the company will fight back as hard as they can to avoid giving you the compensation you need and deserve. Ridesharing is relatively new to South Florida, and the rules and regulations that govern it are still being ironed out. Who pays for injuries? What if you are hit by a driver using the app but not transporting someone? These are questions for legal professionals, and you owe it to yourself to find out if you can get compensation. Getting compensation for someone’s death will not bring them back, but it can help you and your family to recover and get those responsible for the accident to change their ways and make sure it does not happen again. If someone you love dies due to the negligence of another person or organization, you owe it to them and to yourself to fight back. With almost a century of combined legal experience between them, the attorneys at The Law Office of Andrew Winston have seen just about every type of personal injury case imaginable and helped countless clients to win millions of dollars in compensation from those who wronged them. Andrew Winston is a partner at the personal injury law firm of The Law Office of Andrew Winston. He has been recognized for excellence in the representation of injured clients by numerous organizations and received countless awards. 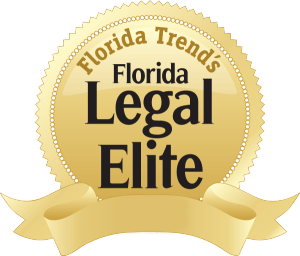 These include admission to the Million Dollar Advocates Forum, an AV Premminent rating from the Martindale-Hubbell Law Directory, and being voted by his peers as a Florida “SuperLawyer” – an honor reserved for the top 5% of lawyers in the state – and to Florida Trend’s “Legal Elite” every year since 2011. Bradley Winston is the Managing Partner of the South Florida personal injury law firm of Winston Law. He is an expert in civil trial law who has over two decades of legal experience handling a wide variety of personal injury matters. Throughout his career, Mr. Winston has fought hard to protect the rights of his clients and to ensure that they receive all the financial compensation they are entitled to under the law. Originally from New Jersey, Ms. Feder obtained her B.S. from Rutgers University in 1994 and J.D. from New York Law School in 1997. Beth is a Personal Injury Lawyer and is admitted to practice law in Florida, New York and the Southern District of New York Federal Court. As a personal injury lawyer with over 30 years of experience, Mark Leeds combines legal passion with personal compassion for clients injured in any kind of accident. Mark received his bachelor’s degree from Franklin & Marshall College in 1977 and went on to receive his law degree from the University of Miami in 1980. Most of us don’t think of Easter as a holiday when people tend to get injured, but every year numerous kids and adults are injured in festivities. What kinds of injuries? Plantation, and surrounding areas will do everything they can to come to a settlement agreement before a case goes to court. Why? Because they know that their lawyers do not have trial experience and are more likely to lose if they have to speak in front of a judge. At the Law Office of Andrew Winston, we will never take a lower settlement for you just to get out of going to court. Our lawyers are fantastic at finding ways to come to favorable settlements without going to trial, because we know that many of our clients need money as soon as possible to help pay for medical bills and other related expenses. But if push comes to shove and the responsible parties only make lowball offers, we are more than happy to go to court to make sure you receive what you deserve.